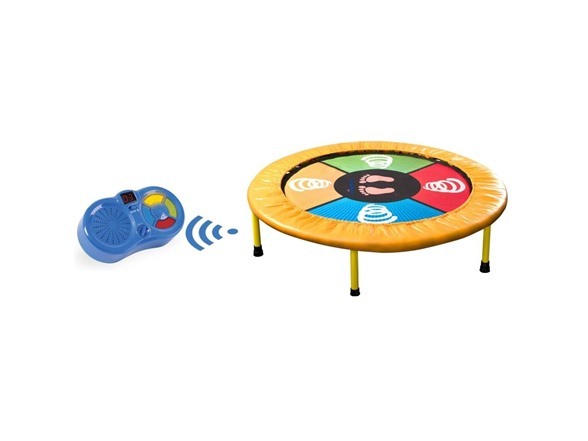 ​Get your kids off the couch and video games with a fun, engaging mini trampoline with touch pad that makes dancing and jumping fun for all! Are you looking for a fun, exciting way to get your kids exercising but without them knowing? 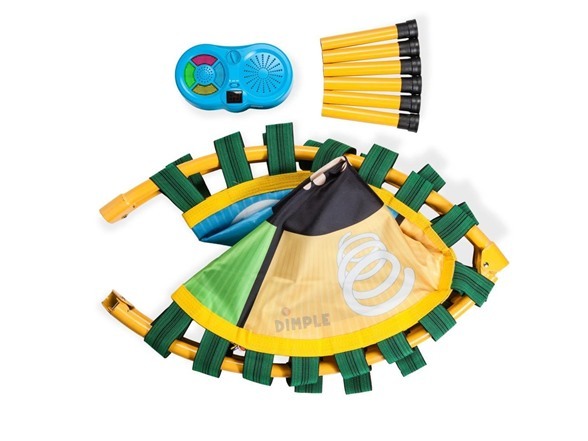 Then you need the Dimple Mini Dancing Trampoline that features a touch pad dance pad that lets them spin, jump, bounce, and twist in time with music to see who can rack up the highest score! 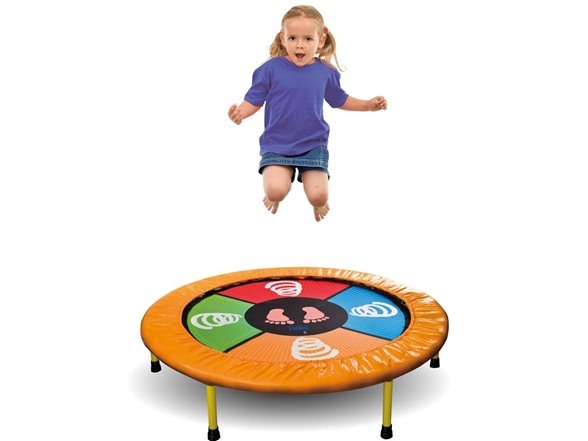 This small, indoor trampoline is made for young kids who love to bounce and want an exciting challenge. 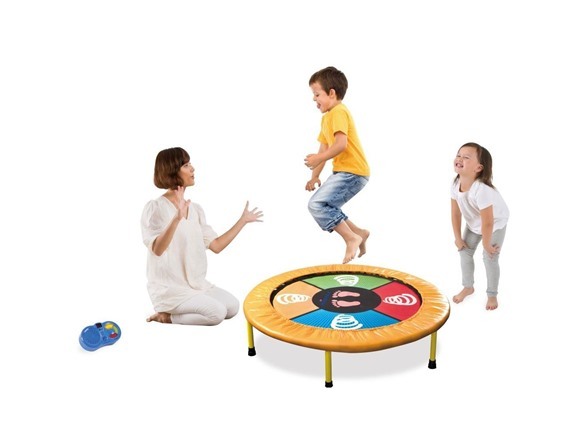 In fact, kids play either alone or with friends to see who can bounce and jump along with their favorite tunes; and who can get the highest score with the most consecutive bounces in time with the music! 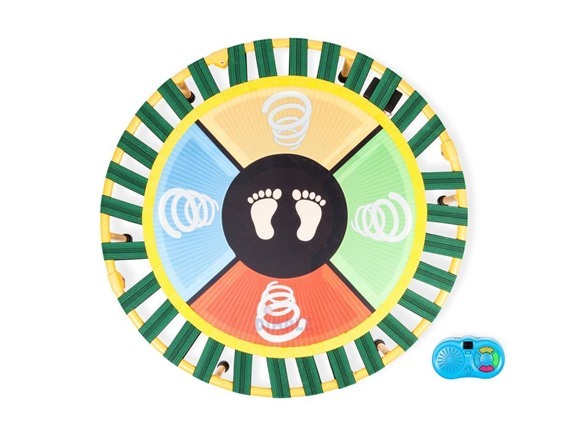 Dance, Jump and Play: This mini trampoline for kids offers an exciting workout with a safe, fun touch-sensitive play mat that lets them bounce, dance and spin. Listen to Your Music: Connect your smartphone or iPod with the plug-in or via Bluetooth technology to listen to all your favorite dance and hip hop sounds! Solo or Multiplayer: Keep score with the LED scoreboard as you hit the rights spots and challenge friends and family to a dance bounce off. 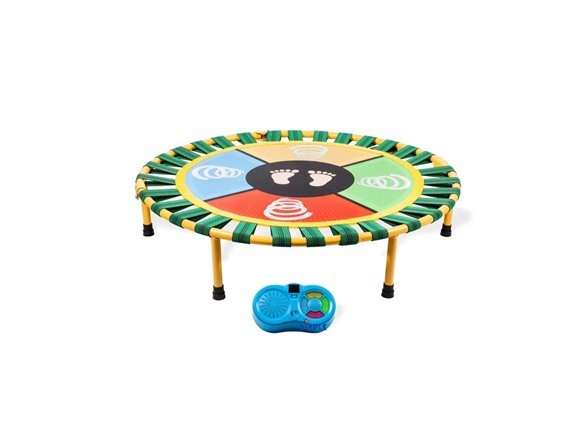 Interactive Colors: The dashboard features 4 LED lights and our indoor mini trampoline boasts corresponding colors for quick, easy play.